Hot water heating systems are built around the premise of radiant heat. Water is heated by a boiler and circulated throughout a building--usually homes (older homes, especially)--through a series of pipes that heat radiators that give off heat. The heat transfers to the air in the room. There are three basic types of hot water heating systems: gravity flow, pumped and baseboard convection systems. A gravity hot water heating system is the oldest and simplest system to heat homes. It is also the least efficient. In a gravity system, the circulation of water is due primarily to thermal and density differences between hot and cold water. As water heats, it expands, displacing the cooler and less dense cooler water throughout the system. If you are thinking that water expands as it gets colder, it does, but only as it approaches freezing temperature. If the insulation is sufficient and the weather not that cold, the gravity system will work throughout a home or building. As the hot water is forced up, the cold water returns to the boiler in a return line and becomes heated, creating further circulation. The plumbing is essentially the same as in a gravity system except a pump provides the circulation in a more efficient and effect way. It allows the water to circulate more quickly, replacing the cooled water in the higher elevations and with the hotter water from the boiler. It also produces a more uniform and controllable room temperature. Hydronic baseboard heating is radiant heat too. It is the same as the other systems and relies on radiant heat to warm a room. 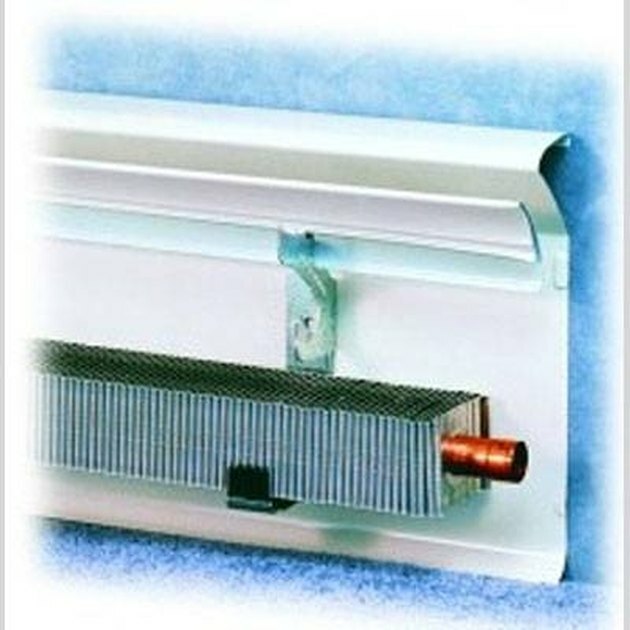 However, technology caught up with design and replaced traditional radiators with a series of metal fins that are combined with convection to move warm air from the baseboard unit around the room more effectively. The baseboard concept is due to the well-known fact that hot air rises so the most effective way to heat a room is to introduce the warm air at floor level, which will displace the cooler air as it rises. All these systems are rudimentary and rely on a boiler to produce the heat. Without a boiler, you have no hot water and no heat. Boilers can be heated by gas, oil, coal and, more recently, by solar designs. All have their advantages and disadvantages depending on your wallet, political views and availability of fuel. Two tasks should be completed at least once a year, usually at the beginning of the heating season. The first is to use the air vent valves to release air that has become trapped into any of the three systems. Because the air rises through the water in the system, the most air will collect at the highest-level radiators. So tap the air vents beginning at the highest point in the system and work your way down. Air is trapped in the radiators throughout the system, not just the top radiators. Second, the water should be drained and replaced throughout the system periodically, particularly if it is unfiltered water, because minerals will build up in the pipes, restricting flow and diminishing heating efficiency. How Does a House Radiator Work? 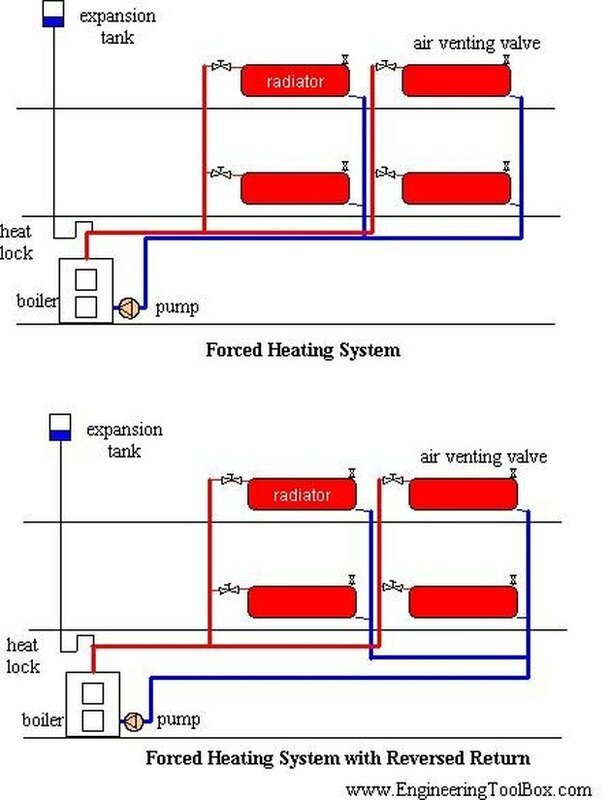 What Is a Gravity Heating System? Can I Cover a Cold Air Return Vent?